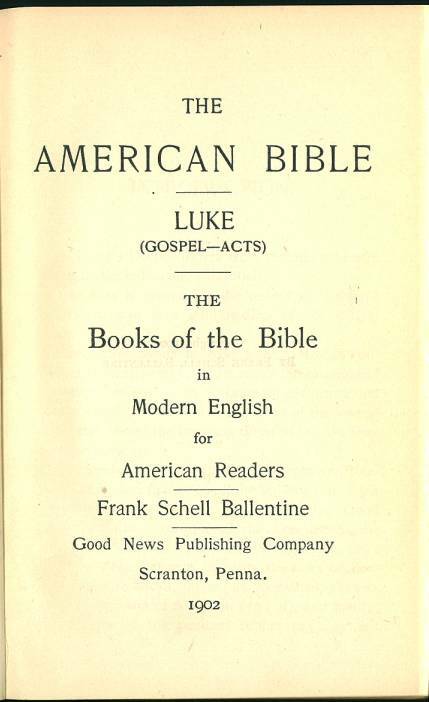 For sample verses from the translation by Frank Schell Ballentine, click here. 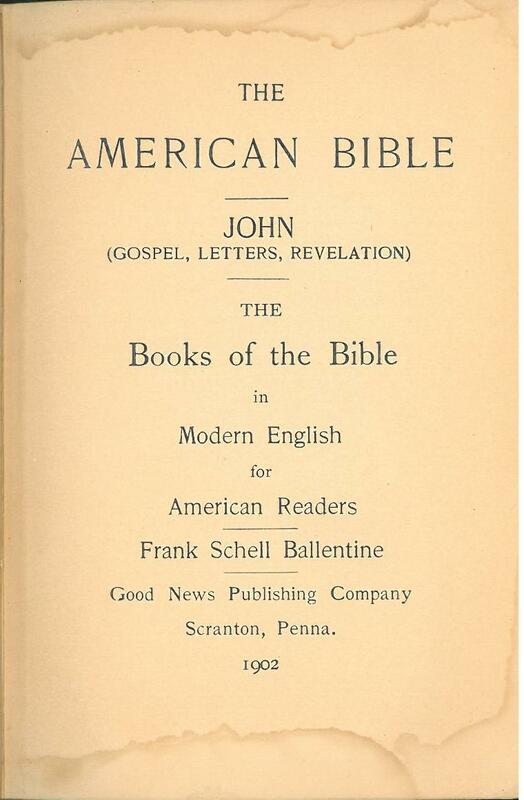 This appears to be a slight revision of the 1899-1901 Modern American Bible. 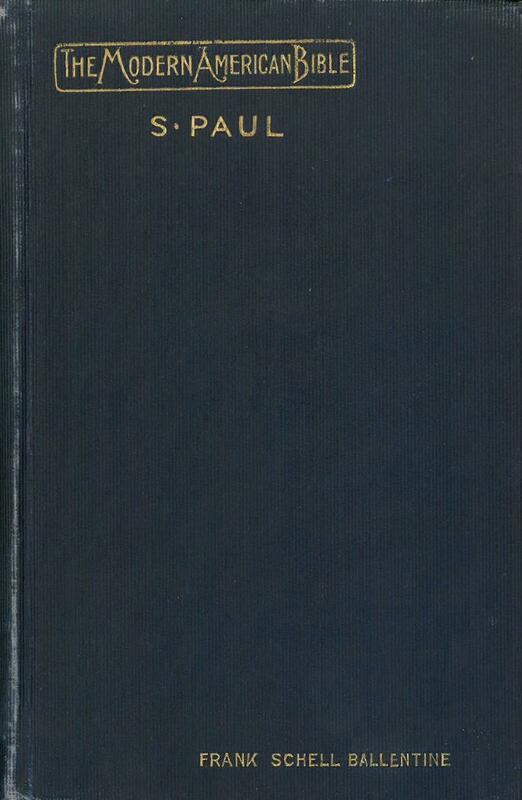 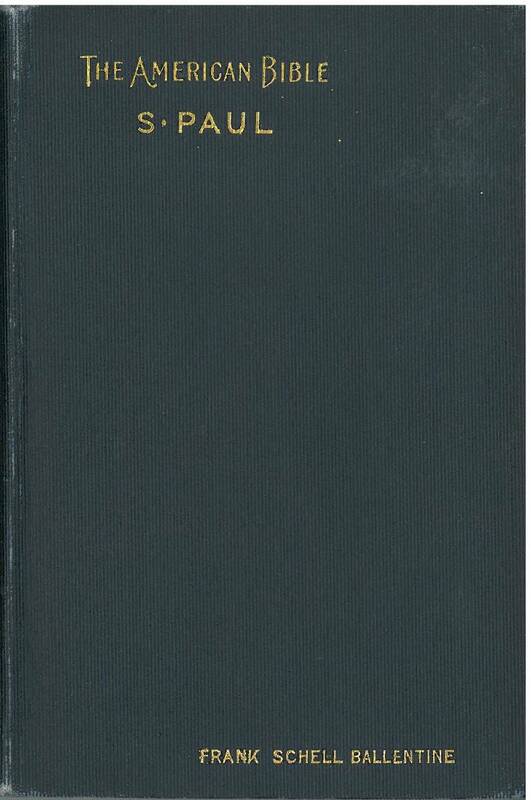 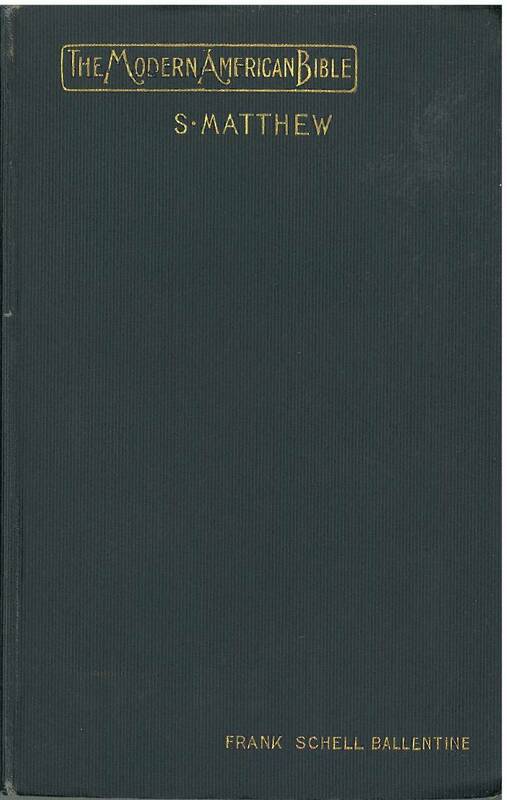 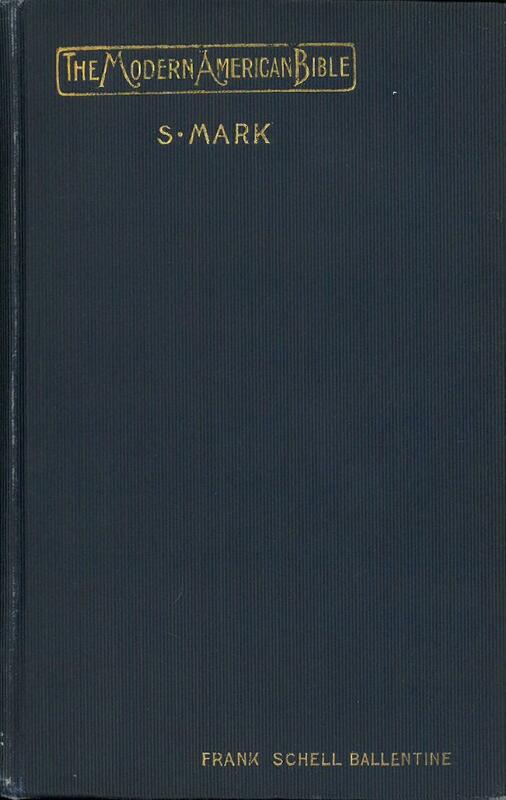 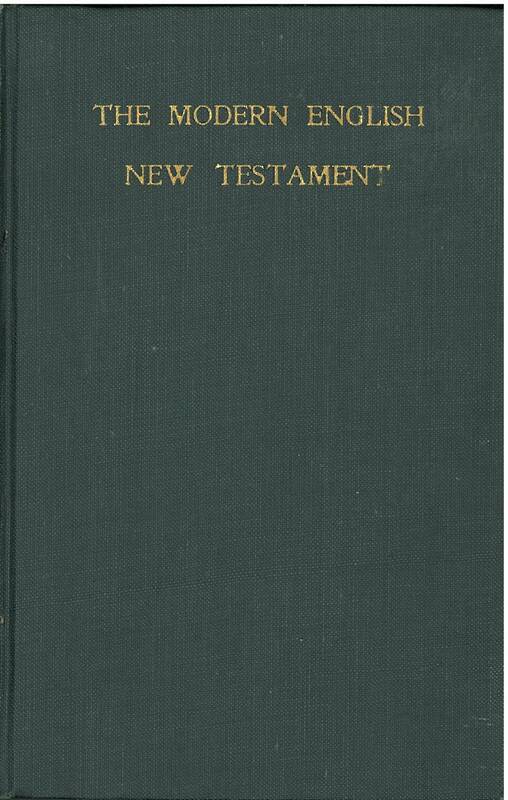 Comments: Hills notes that this edition was poorly printed and withdrawn after only 3000 copies had been sold. 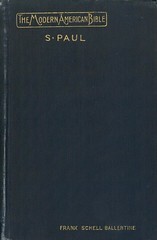 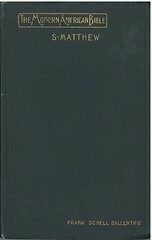 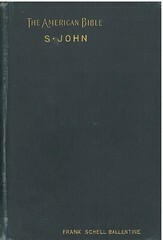 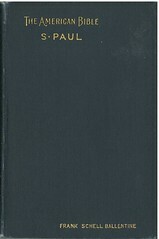 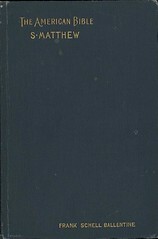 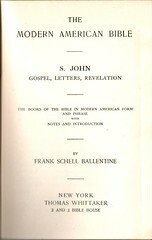 Facsimilies: A pdf facsimile is available at books.google.com. 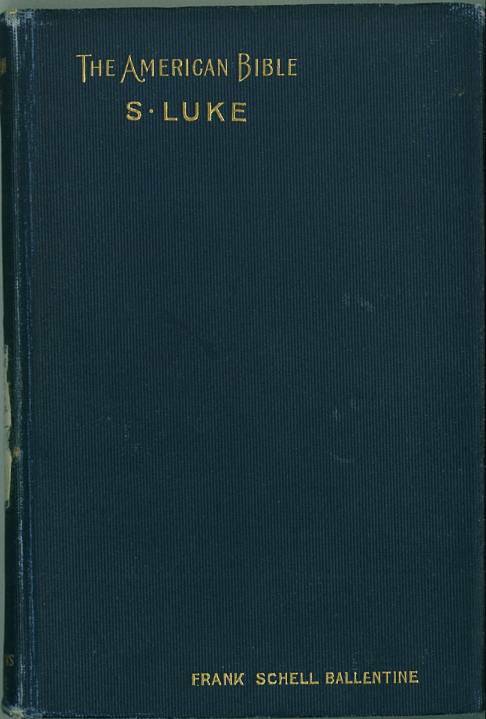 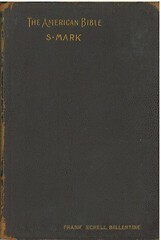 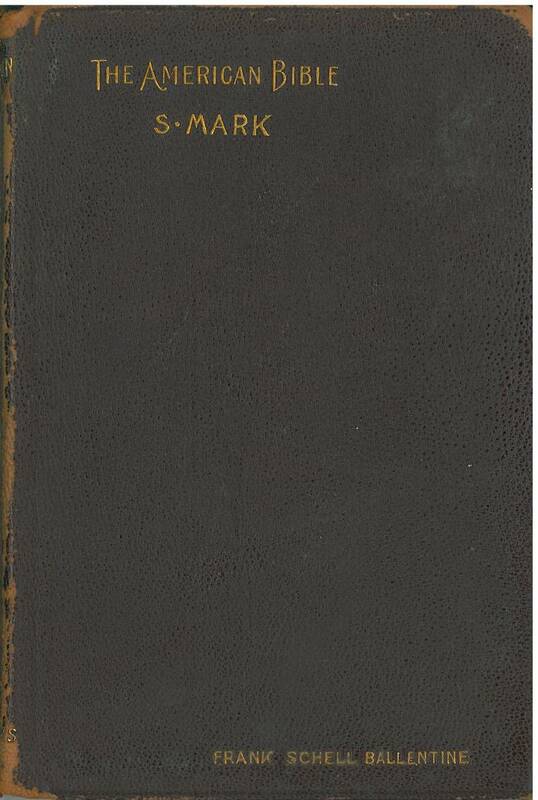 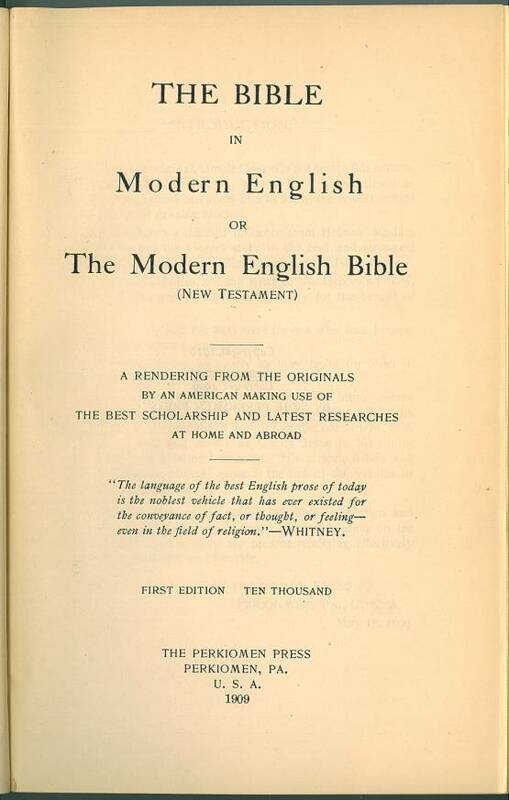 Comments: This is the 1910 Modern English Bible with a different title page pasted in. 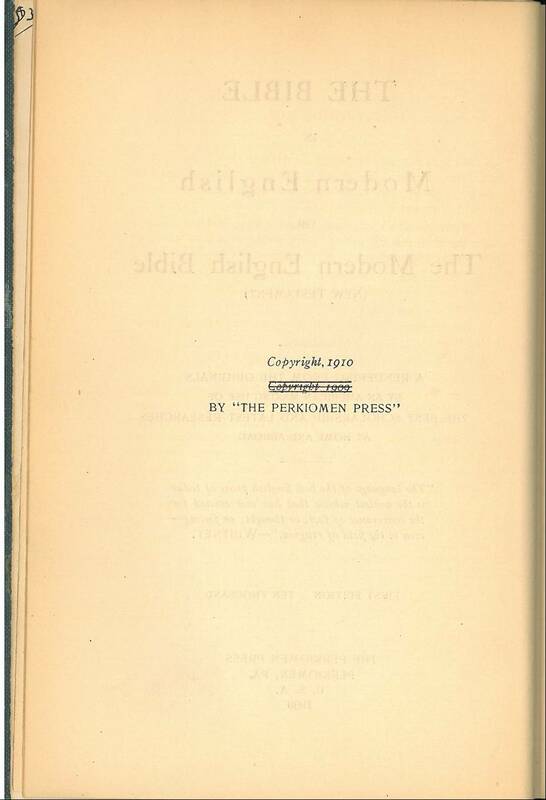 Otherwise the two are identical even having the same printing errors. 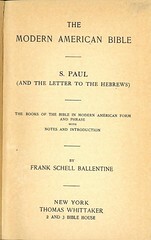 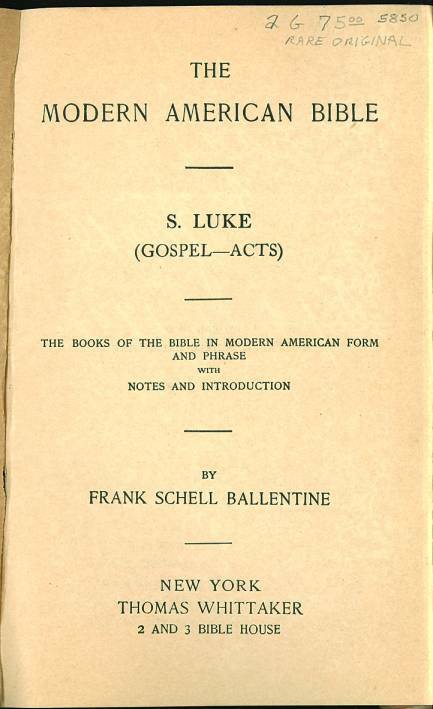 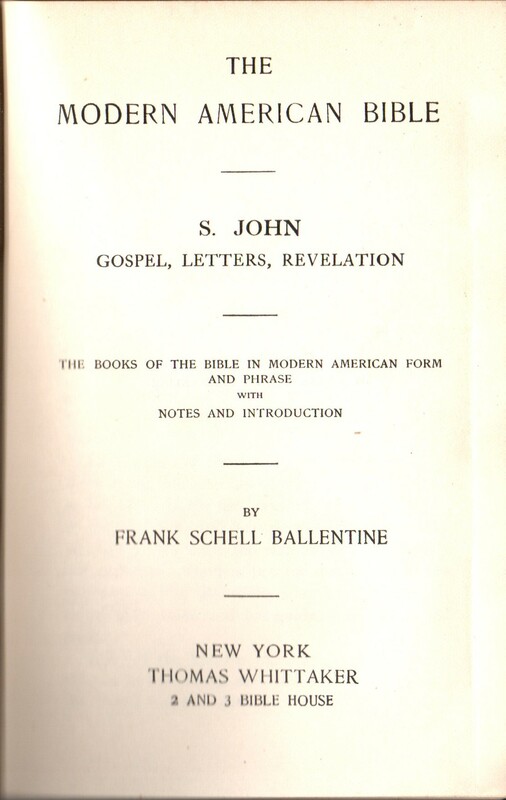 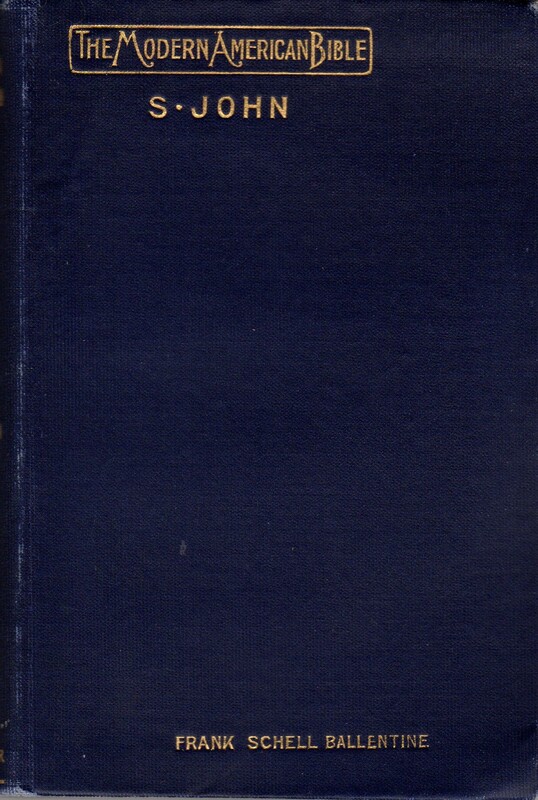 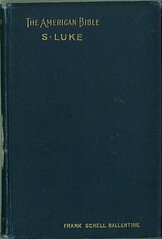 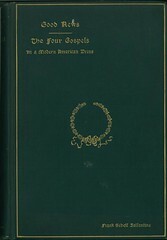 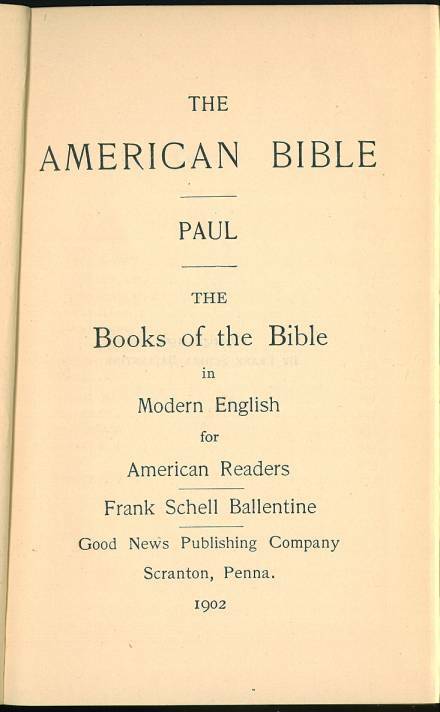 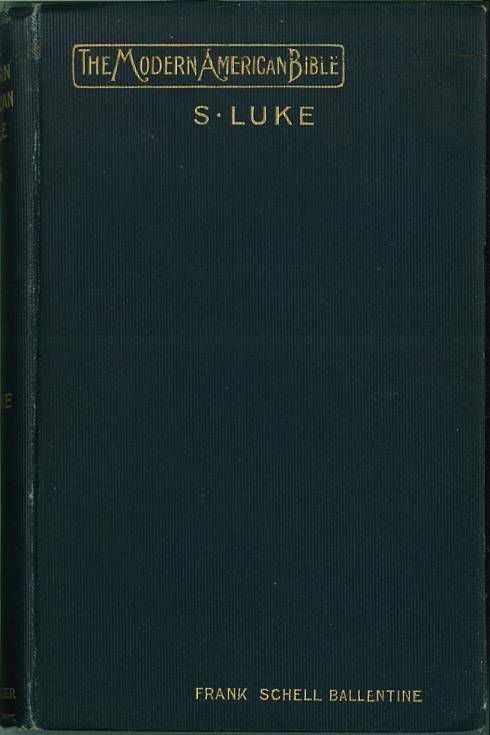 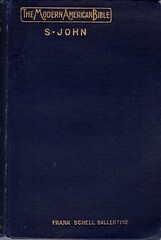 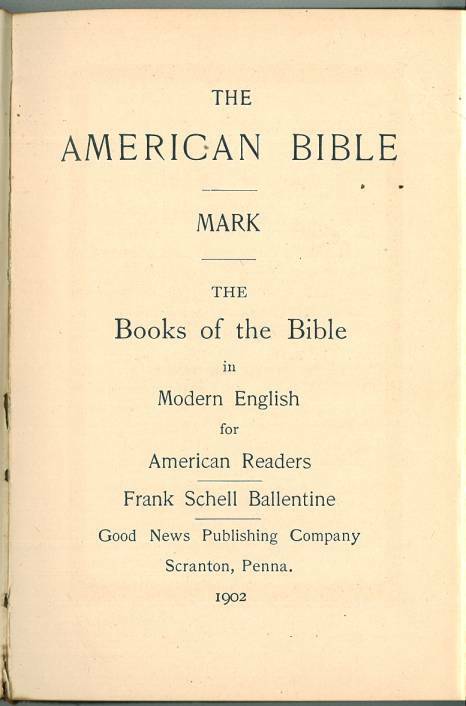 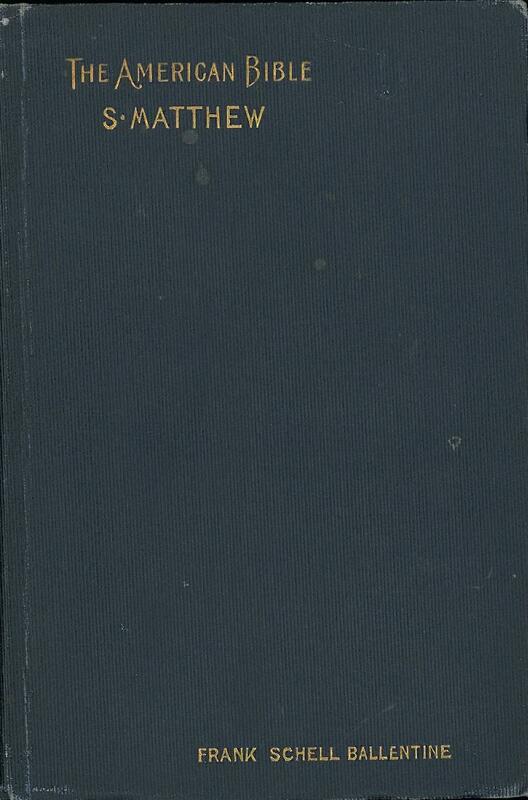 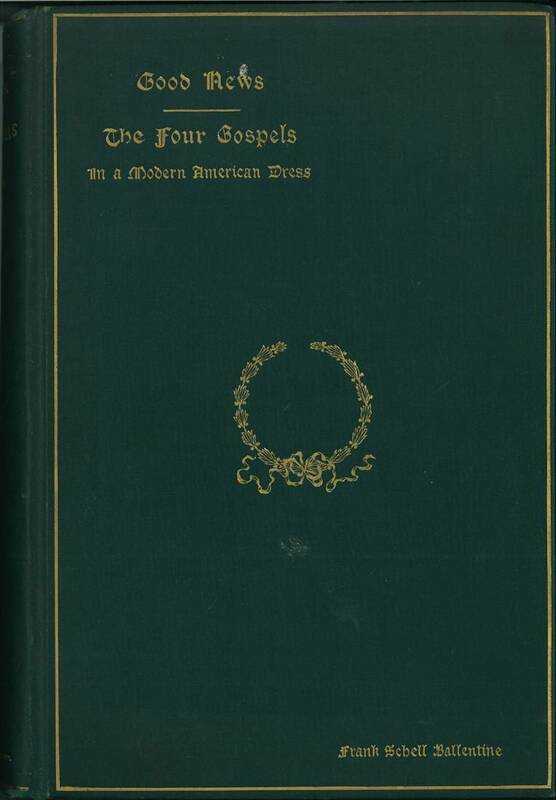 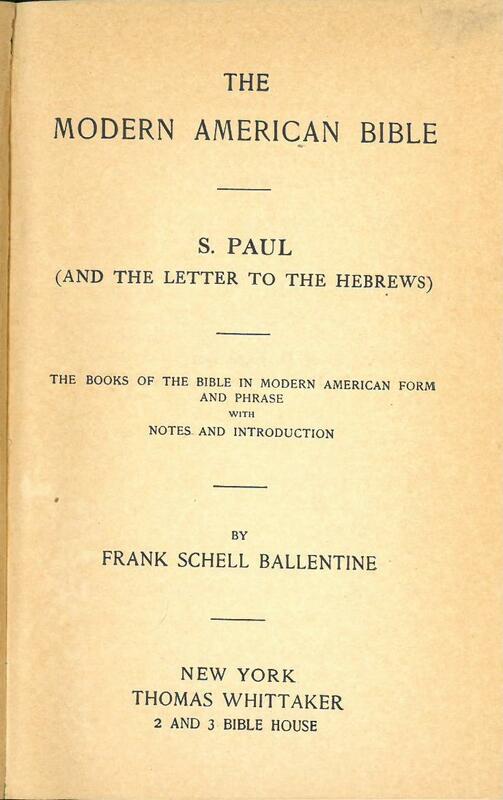 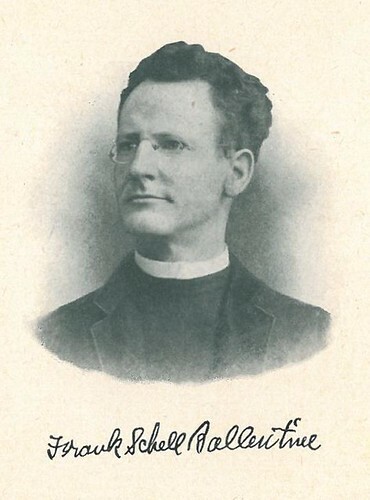 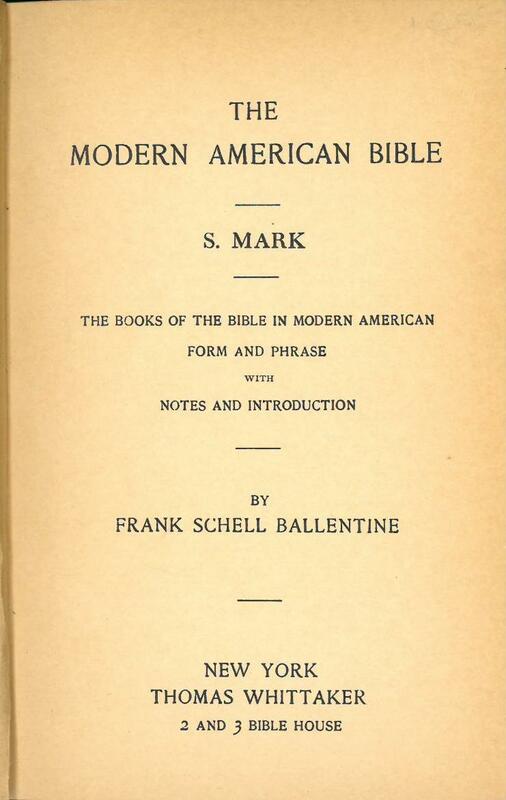 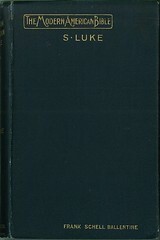 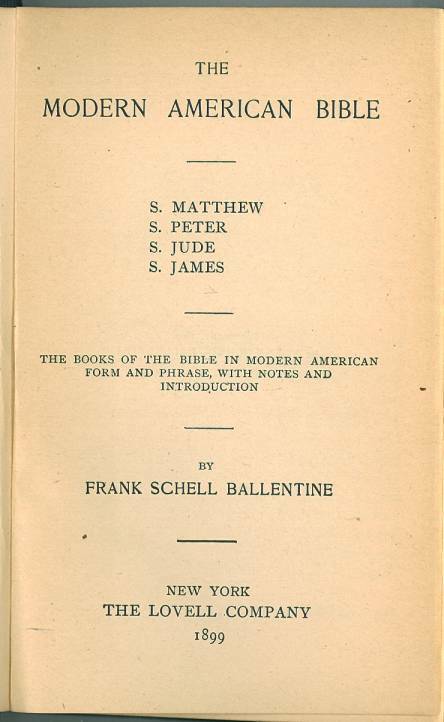 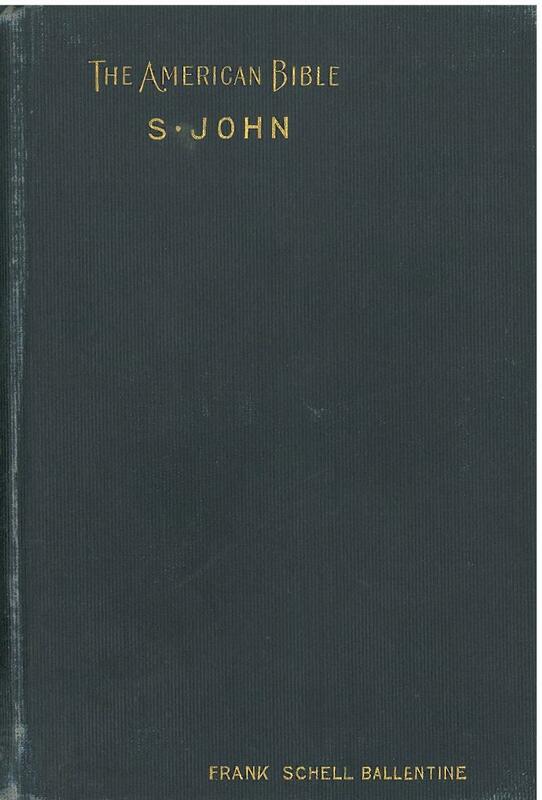 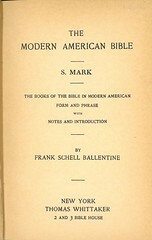 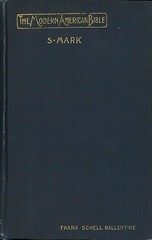 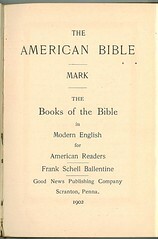 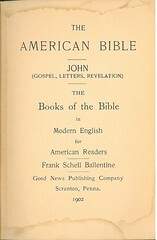 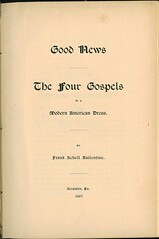 In addition to his translations of the New Testament, Ballentine published a short book of "enlightening passages from the Bible" in 1917. 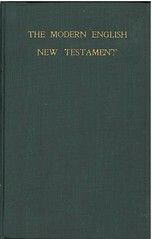 There are passages from the Old and New Testament. 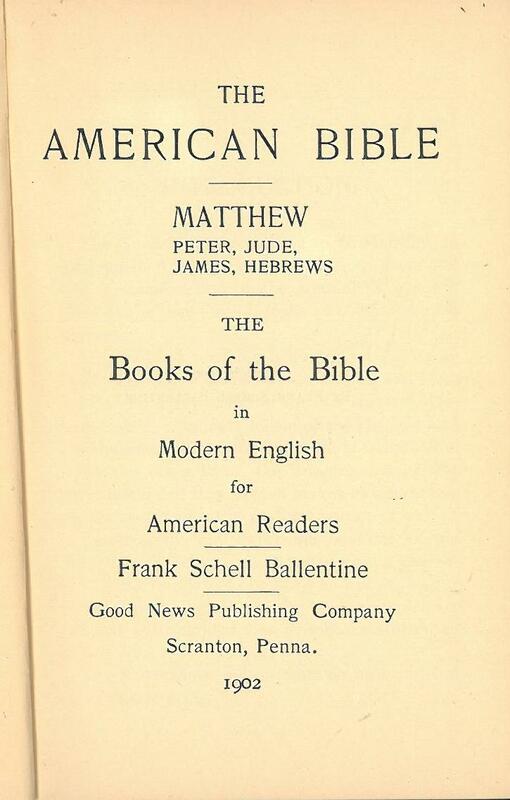 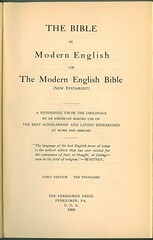 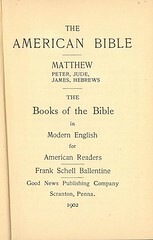 It is not clear which translation Ballentine used; the New Testament passages do not match his Modern English Bible published in 1910. 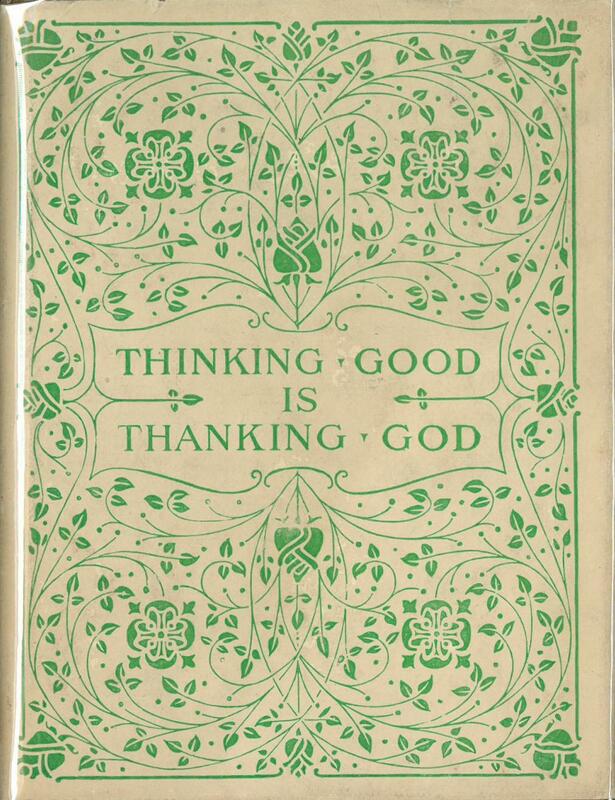 Comments: (Taken from the Jacket of "Thinking Good is Thanking God") The best and noblest thoughts in The Bible are in many various forms, and in many places—but to those not thoroughly familiar with the Book of Books they are not readily to be found. 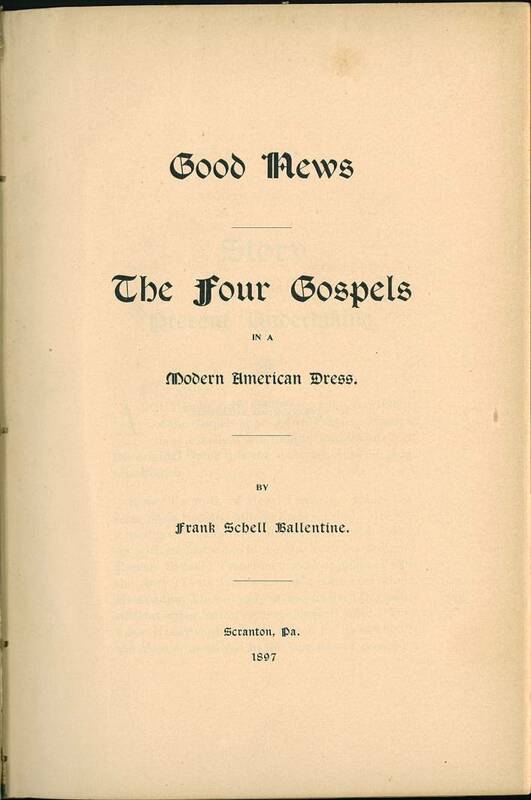 They are gathered here under appropriate headings to minister to momentary requirements, so that consolation may be found in affliction, distress, trouble, grief, and sorrow. 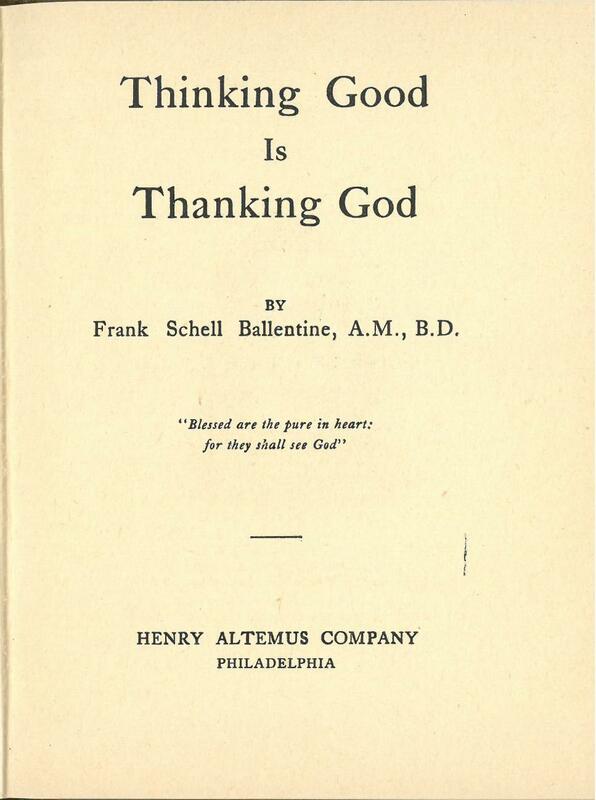 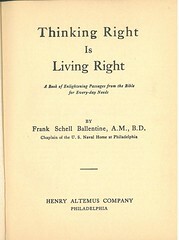 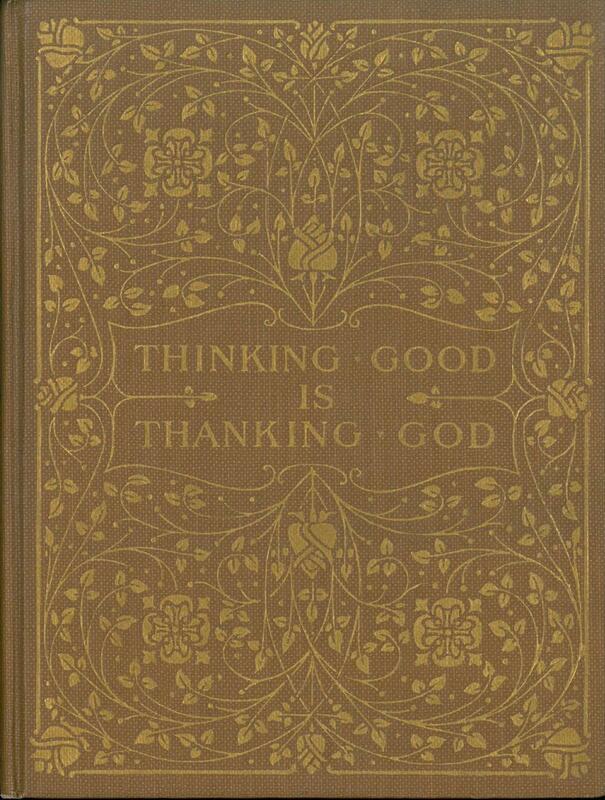 Title: Thinking Good Is Thanking God by Frank Schell Ballentine, A.M., B.D. 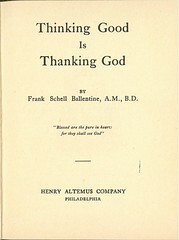 "Blessed are the pure in heart: for they shall see God"
Comments: (Taken from the Jacket) This little book has a distinct mission of its own. 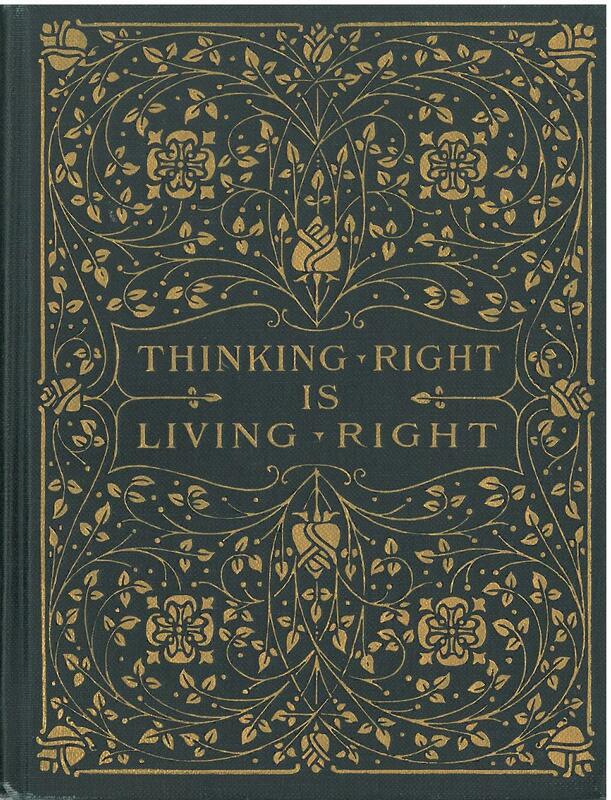 It teaches how to find joy in sorrow, strength in weakness, and light in the darkest days. 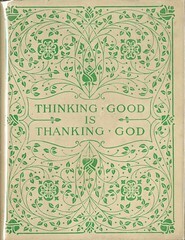 In every page will be found some message of comfort and encouragement in the midst of life's burdens and perplexities. 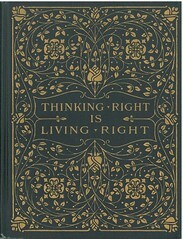 Do you need soothing thoughts, restful truths, words that breath peace, poise, power, faith, hope, love? 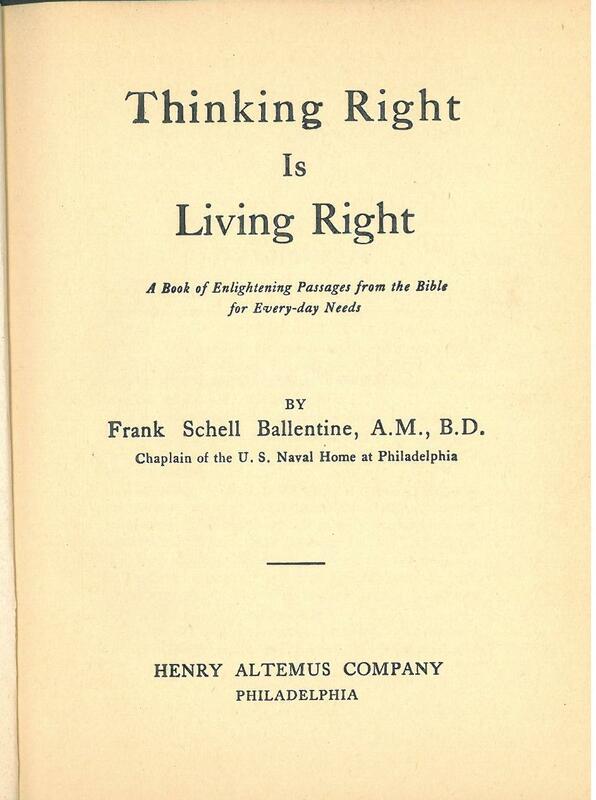 The comforting citations here printed are suggestive.